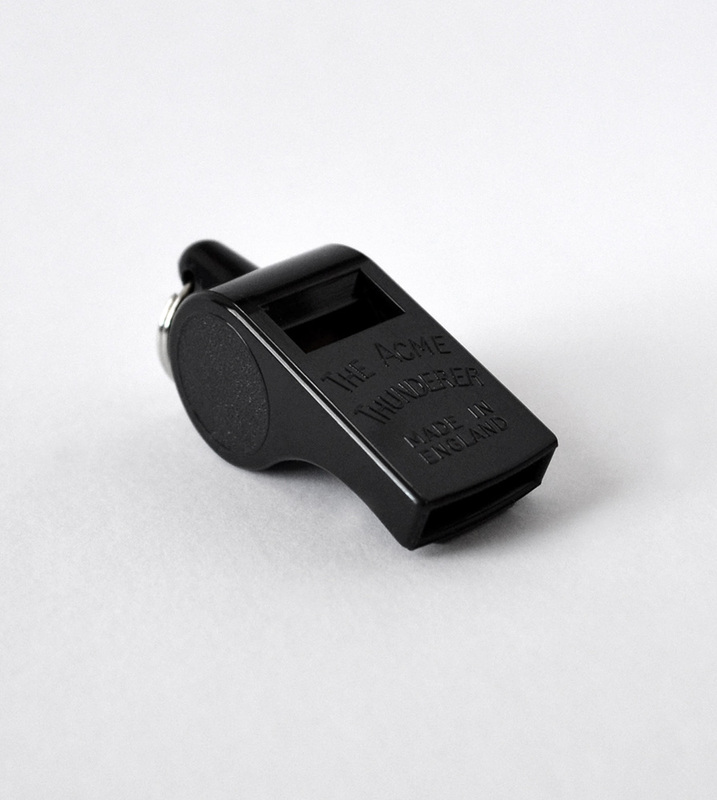 Medium sized whistle with square mouthpiece. Black plastic. Medium to high-pitch. Made in U.K.